Sometimes rare games show up when you least expect them to, not in expensive yahoo.jp auctions, just in the hands of good natured people who want to see them emulated. 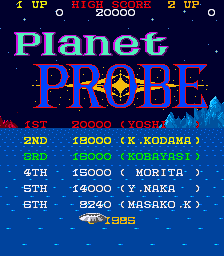 Planet Probe falls into that category, a PCB was recently sourced by Alberto Grego, in Italy. Some had started to doubt the game really existed, and believed it to be a figment of somebody’s imagination, with the only reported sightings in and around Italy. The board wasn’t in very good condition, booted, but was very glitchy, the roms were troublesome to read (Kold666 couldn’t get consistent reads, but thankfully f205v could) This game was very much at risk of being lost forever, but luckily all the roms still seem to be present, and the dumps correct. One amazing fact about this game is that one of the Italian players ‘Bisboch’ actually found the high-score entry music so memorable he was able to compose a rendition of it 20+ years after playing the game as detailed here, the even more amazing part is that his memory was very close to being correct even after all those years; I’ll post a video with the second part of the update so that you can compare. I believe this game falls into the same category, it lacks a manufacturer simply because they had no trading name at the time they wanted to release it and were trying to sell it to potential distributors etc. 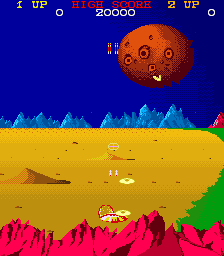 Ultimately, based on it’s scarceness it appears nobody took this opportunity, effectively relegating the game to failed location test / prototype states or an incredibly limited release at best. 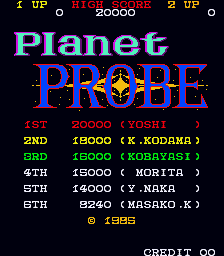 As you can see, there are some video glitches still, this is because the vastar.c driver doesn’t implement some of the tile flipping (large planet on the last shot) and the game uses a priority mode unused by Vastar and I haven’t determined the exact order of the layers yet. Once I’ve addressed these issues I’ll post a video as Part 2 of the update. Nice work. Very happy to see this one has made it in – rarities and oddballs are a particular interest of mine, especially when the Orca name may be involved. Well done to all! Great i can´t wait to try it out..
to send in Marble Madness 2. 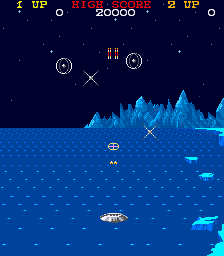 For such an old game it looks really cool! Glad we got this one preserved. According to the VGL (Ultimate Video Game List) published by A.M.P. group, this game is already listed on “Unreleased” game page and the manufacturer is listed as “TRY”. But I don’t find other title by this maker in this book so Haze’s guess may be highly credible. 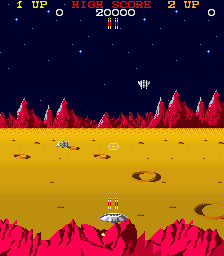 In addition, some manufactures with released or unreleased 1 game only around 1985 are found.